It is fitting that Universal Studios set up in Singapore as this island state — one of only three in the world– is as close as you will get to a real life movie set. The island is lush and green, well thought out, and meticulously manicured. It’s a city ready for Action! Everyone speaks English and will understand you. You may sometimes struggle with Singlish, a patois that is still dominant despite the government’s speak good English campaign. Singlish, with its own unique intonations and rhythm, incorporates words from Malay, Tamil, Hokkien, Teochew, and Cantonese. Some English words are have been distorted slightly over time. lah Added to end of phrases and sentences constantly. The tone of it will clue you in to how person really feels. can can Not a French dance with high kicks but how they emphasise something is possible. angmoh Literally, ‘red hair’, used to refer to white foreigners. Can be both disparaging and not. mah Put on the end of a sentence to indicate a question. aiyoh Exclamation used for dismay or dissatisfaction. aiyah Like a deep sigh. alamak What on earth? WTH? Uncle & Auntie How you refer to any man or woman older than you / sign of respect. Kopi and Teh Coffee and Tea. Kopitiam Means “coffee shop” from the Malay word for coffee kopi and Hokkien word for shop tiam. 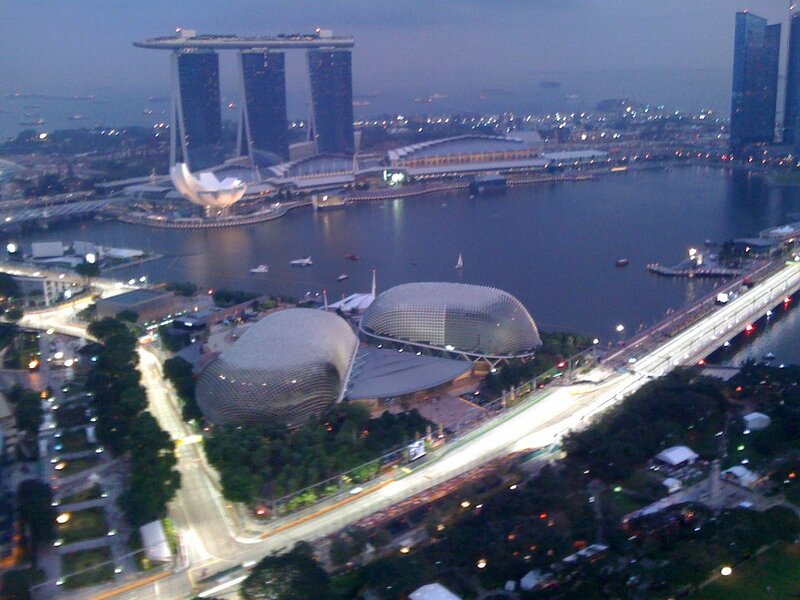 The city is modern with an incredible skyline, and nothing beats seeing Formula 1 racing from 20 floors above. There are also a number of old shop houses and black and whites preserved. Walking around, hopping on and off the regular buses will allow you to visit all manner of places. (Get the SG bus app.) 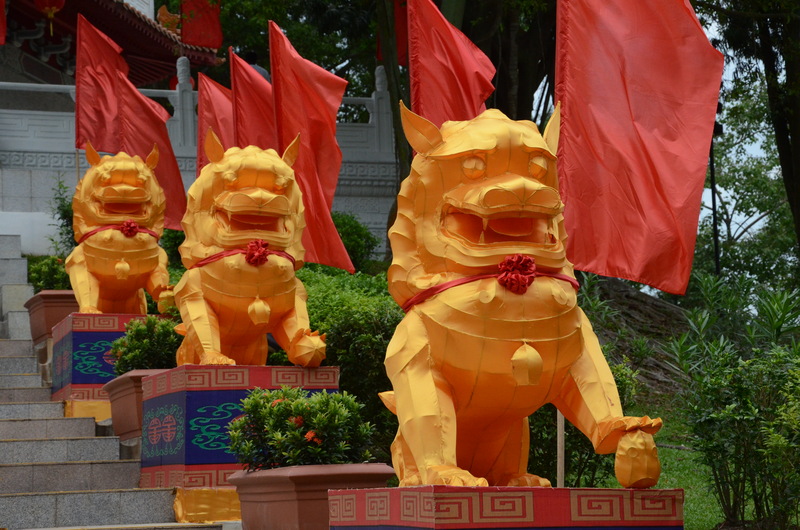 There always seems to be some interesting installation, exhibition or celebration happening in a country that embraces three different cultures. My favourite was always meal times. Singaporeans love their food and most everyone eats at a hawker centre. These are a collection of food vendors all housed under one open air space. 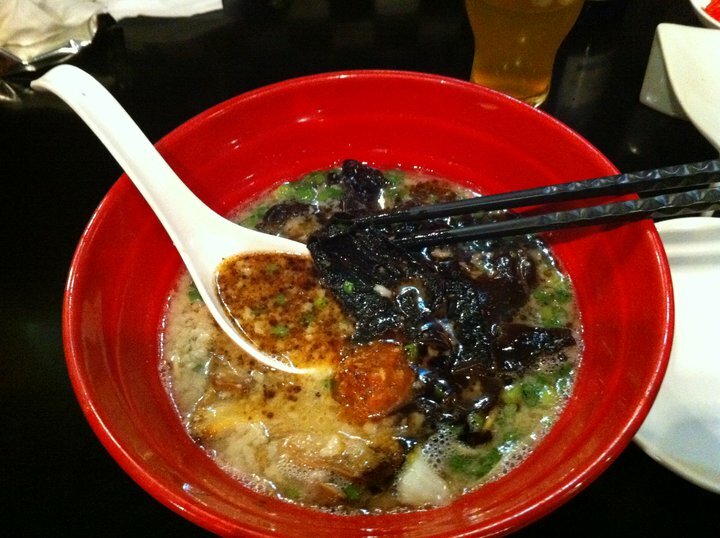 The best food vendors will only make a handful of dishes, usually variations on one dish. Each chef basically spends their life making one dish so they are very very good at it. Having all the vendors together means you never have to have the “what are we eating tonight argument.” Each person can get his favourite dish and meet back at the one of the tables scattered throughout the hawker centre. Better grab your table before your makaan as good hawkers are always very busy! To chope your table while you go get your food, leave a small packet of Kleenex on it to indicate it is reserved. And yes this actually works! You will want to make sure you have several of these as well as no one gives out napkins i.e. pack ample wet wipes for the kids. 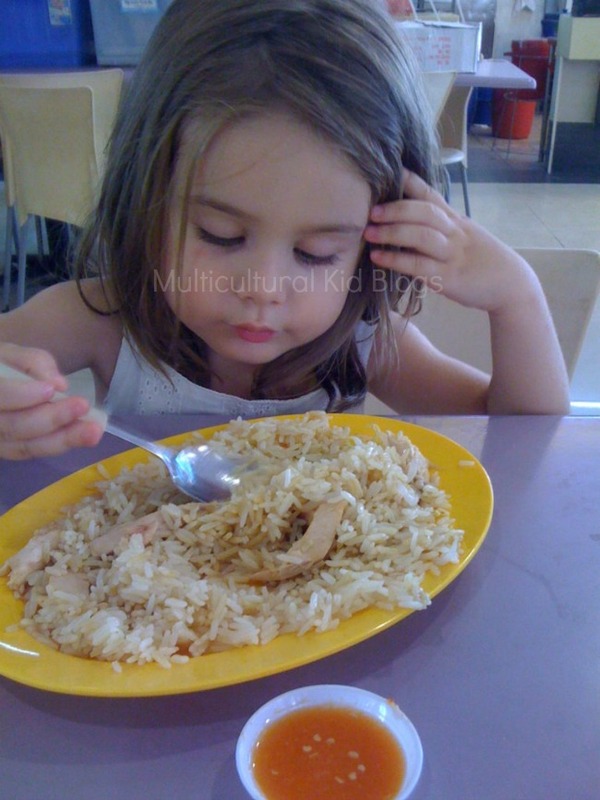 Eating in Singapore is a pleasure, whether you are in a hawker centre or one of the many incredibly child-friendly restaurants. Seriously, some restaurants have playrooms/craft sections/A movie room, etc. all to cater to your kids while you dine. 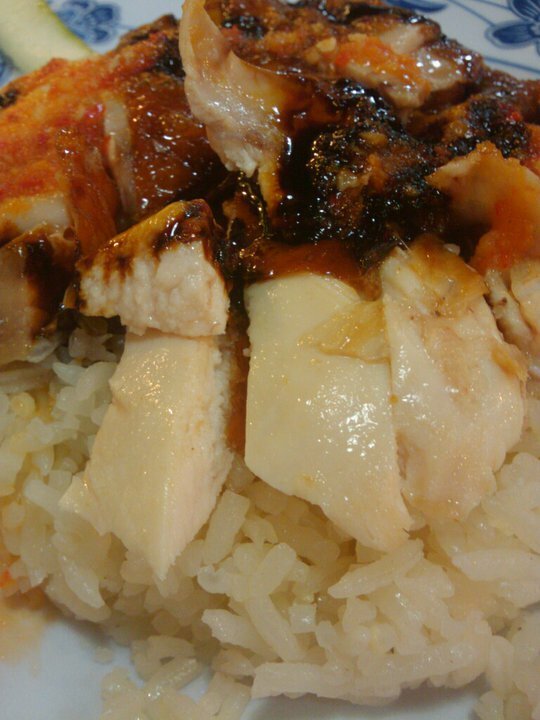 Chicken Rice is one of the ultimate Singaporean comfort food and remains to this day my eldest’s favourite dish. Walking around the hawkers is great fun, especially if you land on a vendor making DanDan noodles. They make them so fast, it’s mesmerising for kids and adults alike. Lastly you must try the Kaya toast – another kid friendly favourite — at one of the kopitiams. A word of warning, if they offer you a soft boiled egg, I would recommend a pass since it will be so liquid, most of us can’t swallow it. I say this as someone who happily eats steak tartar, (raw meat mixed with raw egg). In all my time there, I never managed to get someone to leave it in a bit longer. This is classic Singapore. Rules are rules. Things are done a certain way and operating out of the box is pretty much unheard of. Entire books have been written on Singapore dining and this post is nothing more than a tiny amuse bouche. I will say that if you find your way there, you should not miss the wonderful soup dumpling restaurant called Din Tai Fung – its popularity apparent when you see how long the queue is! Get there early, it’s well worth it and the kids can watch the chefs make the dumpling and noodles while you wait. After your meal head to one of the incredible cinemas where you can reserve seats that are properly set for unobstructed views. Just make sure you bring socks and a thick jumper as the chill factor is as close as you will get to a real winter this close to the equator. The wide, well maintained pavements/sidewalks, kid-friendly shops and restaurants, endless parks, themed and botanical along with clean efficient public transport and loads of taxis — except in the rain… you will find NO TAXIS in the rain — make this a wonderful city to take little ones on holiday to or better yet relocate if you can get the increasingly elusive work visas! If you do make it to Singapore, here are a final few thoughts and recommendations to keep in mind during your stay: It gets hot! Umbrellas –not black– are much better than sun hats as they work for sun and rain of which you often get both in most given days days. There are a number of indoor play areas, or any shopping mall if you need to cool off for a bit. Portable water bottles are a must. Every Singaporean kid has one with a shoulder strap. You can pick them up pretty much anywhere. And if you are a pro at packing light, it is well worth bringing your kids’ scooters or seeing if you can make friends with people living there to borrow some as the kids can scoot in so many places. There are bicycle rentals in many of the parks as well. 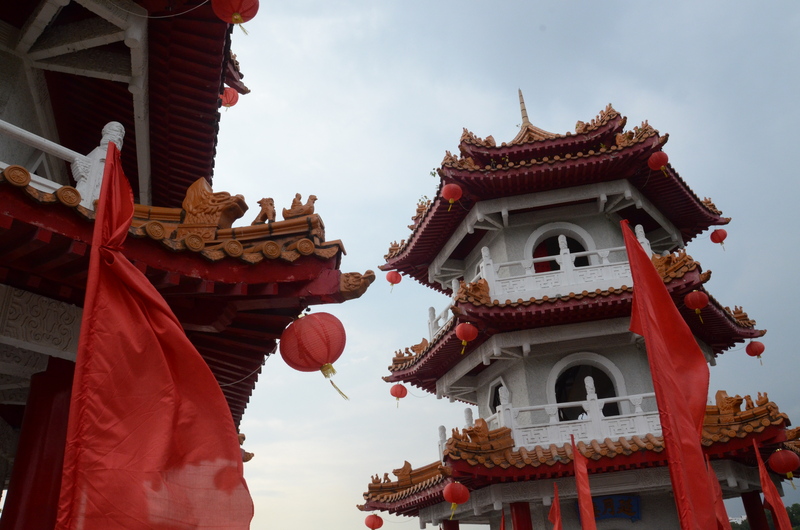 Despite many calling it the Disney of Asia, the cultures are very different. Asia as a rule is an incredibly child friendly place. No one finds it strange that a man will tap on the window or make funny faces to your child. It’s considered natural. Kids are a gift to society not a burden. People are often fascinated with Angmoh kids and will often reach out to them. You will likely encounter people trying to take pictures of your kids. Again something many of us are uncomfortable with but is not considered unusual here. More frustrating is the desire they have to give your child sweets – frequently hard candies, a source of endless stress for me when I lived there as they are a choking hazard for toddlers. Also many people stare – it’s not taboo like it is in the west. This took me a long time to get used to. Singapore is so safe, don’t hesitate to make your way off the beaten path. 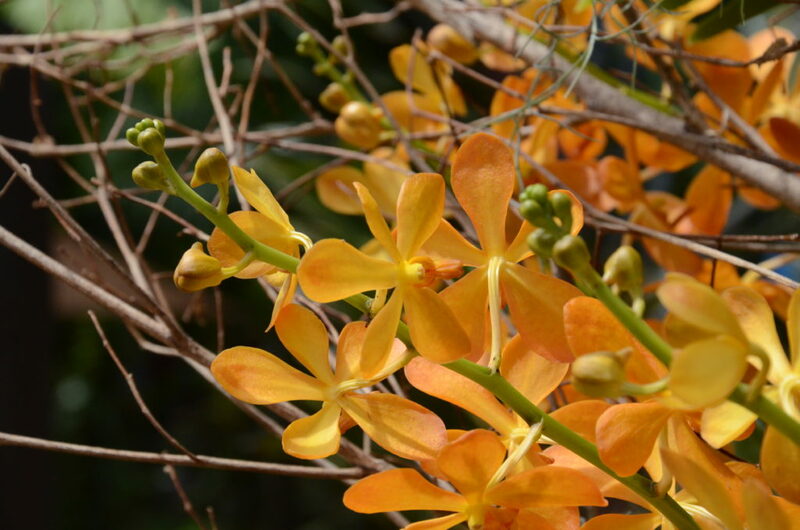 Sentosa, the botanical gardens, Gardens by the Bay are all must sees but do make sure you eat at local hawkers, check out the wet markets, better yet have someone direct you to Sheng Siong, a local supermarket we used with walls covered by fish tanks. Most expats and many locals haven’t even been to one! And keep some swimmers in a bag for the kids. The place is rife with unexpected playgrounds with water features, a wonderful way to cool off after a day under the Singapore sun. 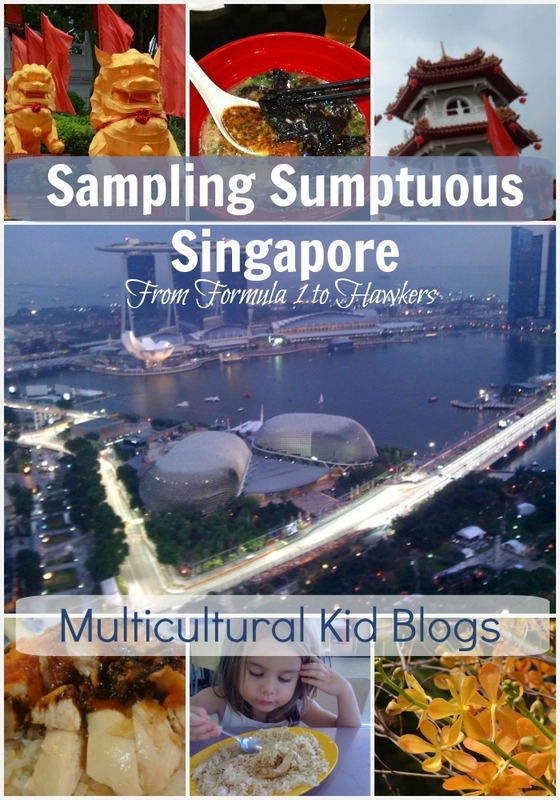 This month we are learning all about Singapore, so link up below any old or new posts designed to teach kids about Singapore–crafts, books, lessons, recipes, music and more!